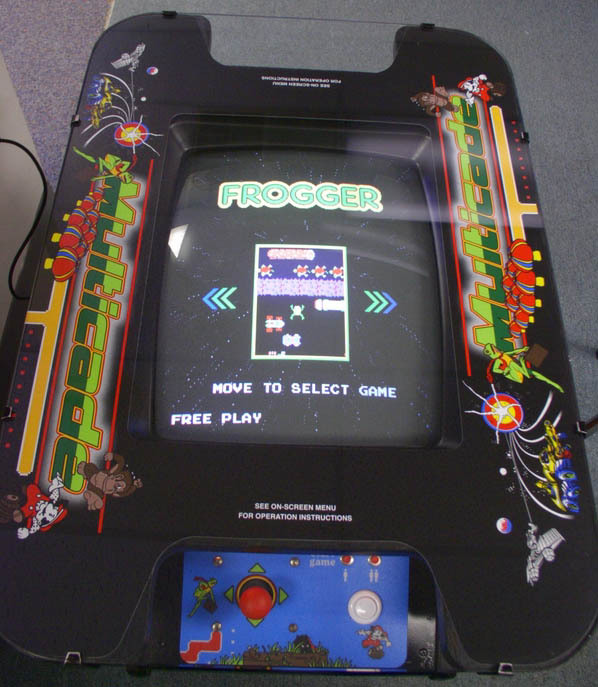 Take a trip down memory lane with the Multicade Multi-Game cabinet featuring all those nostalgic games from the 80's. Have you ever thought of wanting to own classic game for your home? How about bringing home dozens of games! Now you can pack a whole classic arcade into one beautifully finished and affordable cabinet. Choose from the classic upright cabinet or sit-down cocktail table Multicade. Both upright and cocktail table Multicade can be set up for "Free Play" or "coin operation". Fully customizable via easy to follow onscreen setup menus. The Multicade can be upgraded with new games that are constantly being added for support by us.